reconstructed turquoise set in sterling silver. 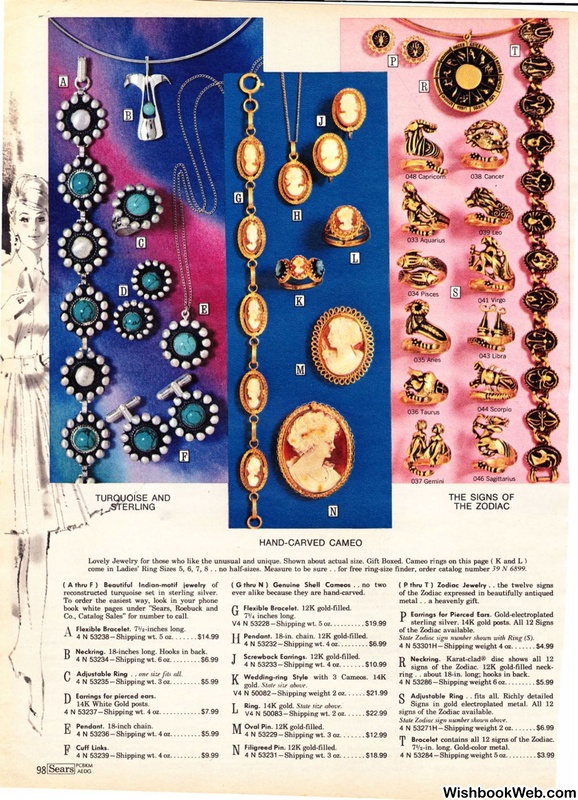 Co., Catalog Sales" for number to call. 18-inches long. Hooks in back. ( G thru N ) Genuine Shell Cameos ..
ever alike because they are hand-carved. ( P thru T ) Zodiac Jewelry . .
metal . . a heavenly gift. ·Stale Zodiac sign number shown with Ring (S). ring .. about 18-in. long; hooks in back. signs of the Zodiac available. contains all 12 signs of the Zodiac.